Dark Star’s system & installations services have been applauded by numerous clients, who rave about our personnel’s ability to speak in laymen’s terms, about our attention to detail and deadlines, and about our guidance through the project from concept to completion. Equipment can be purchased anywhere, but it's the little things like honest quotes, timely communication, and technicians that actually designed the system installing it that count! 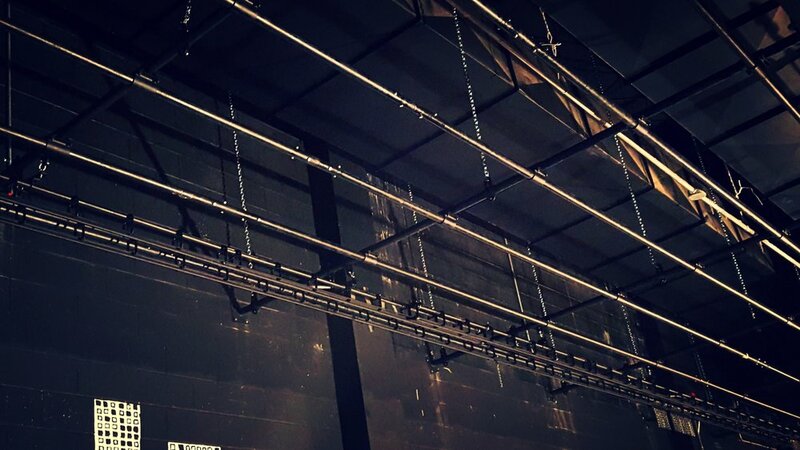 Ultimately, the success of your rigging system hinges equally on your artistic vision and our practical execution. We combine on-site visits, planning conferences, and 3D computer modeling, in order to comprehend the artistic & functional needs of the venue & provide a tailored installation plan. "I've worked with a major NYC firm. They consistently failed to meet deadlines and proposed a system that was far more complex than needed. Dark Star made the job remarkably easy. The complex became straightforward." Once on the job site, Dark Star’s technicians work quickly inspecting, servicing, or installing, whichever it may be. No time is wasted, nor are corners cut. Dark Star’s systems & installation services make your venue safe, functional, and worthy of applause.